I love when clients come back for multiple sessions, especially when they return with a squirmy-wirmy puppy! 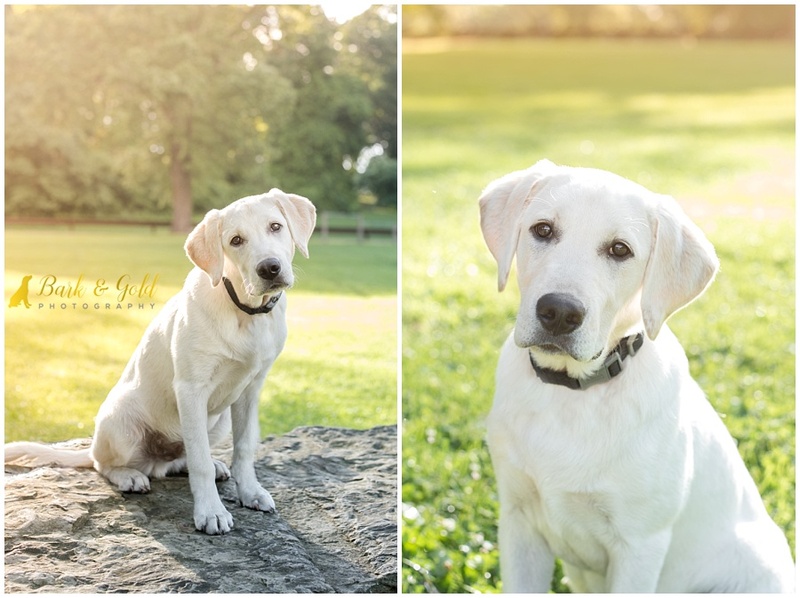 Allie and Louie are among them, this time joining me for portraits of their newest addition Sam, a five-month-old yellow Labrador puppy. I was hoping to photograph him the minute I learned that they’d be adding another fur baby to their family and my wish came true as Sam will be making his appearance in the Dreaming of Three 2019 pet calendar after helping fundraise for the organization’s Rodeo Kids Program. 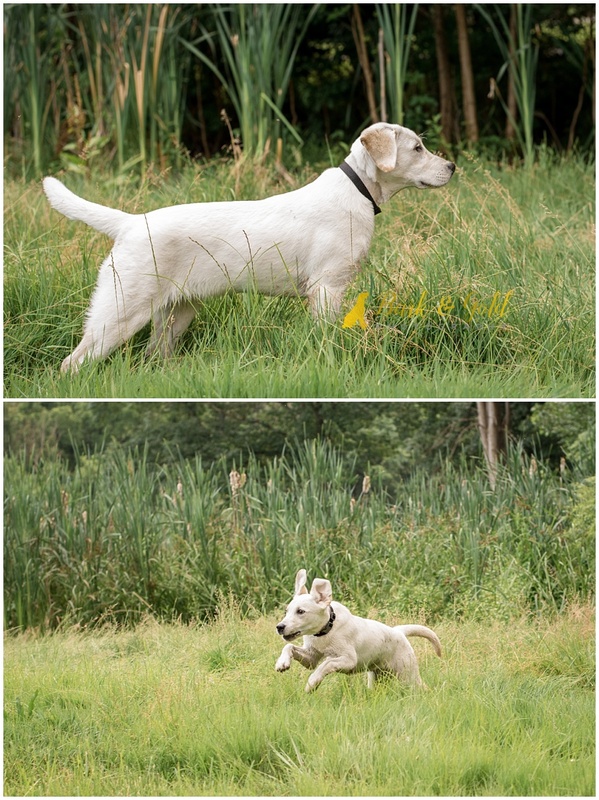 For Sam’s session, we ventured back to South Park where the couple’s first dog, Sadie, had her session last summer. To mix it up, we chose the area around the Maple Springs Gazebo, which is just beautiful this time of year. Allie warned me that Sam is non-stop, adding that he always wants to play. At the end of our session, Sam’s dad let him loose for mud zoomies. He had a blast, don’t you think? 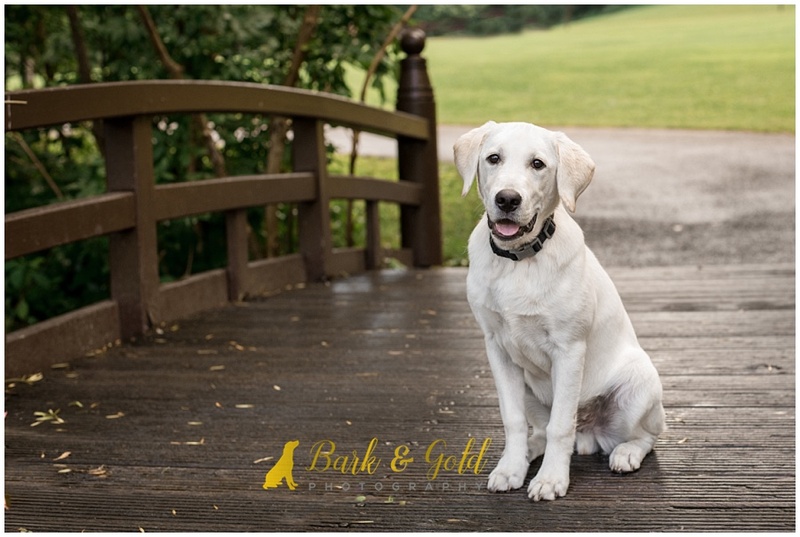 To book a Bark & Gold Photography session for your pet, click here or give me a call at 724-913-BARK (2275). 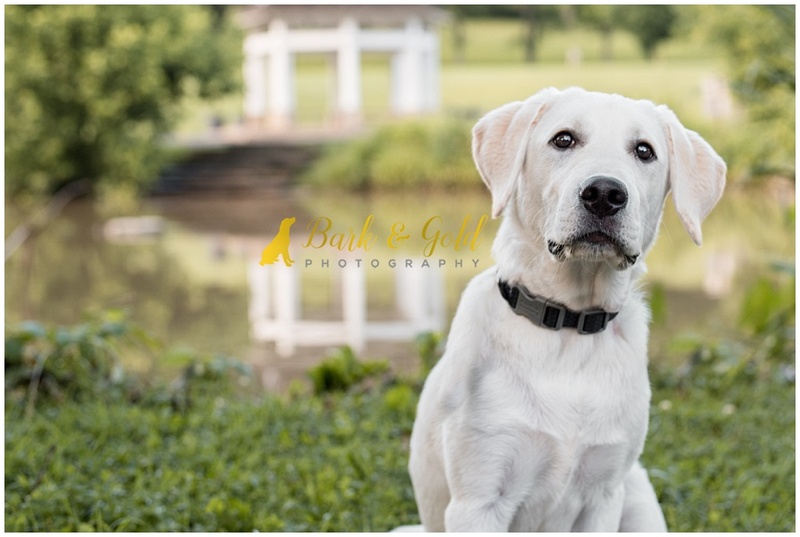 For more information on Bark & Gold Photography sessions, visit “Your Session” in the menu and be sure to share your email on my homepage to join the VIP list.